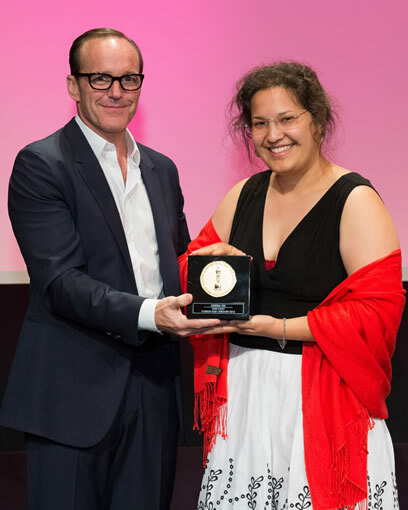 Photo: Actor Clark Gregg (left) and Kristina Yee from National Film and Television School, United Kingdom, winner of the gold medal in the foreign student film category for “Miss Todd,” during the 40th Annual Student Academy Awards in Beverly Hills. Photo © Todd Wawrychuk/Academy of Motion Picture Arts and Sciences. 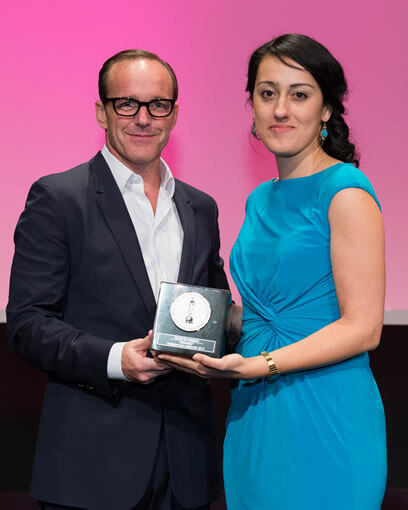 Photo: Actor Clark Gregg (left) and Talkhon Hamzavi from Zurich University of the Arts, Switzerland, winner of the silver medal in the foreign student film category for “Parvaneh,” during the 40th Annual Student Academy Awards in Beverly Hills. Photo © Todd Wawrychuk/Academy of Motion Picture Arts and Sciences. 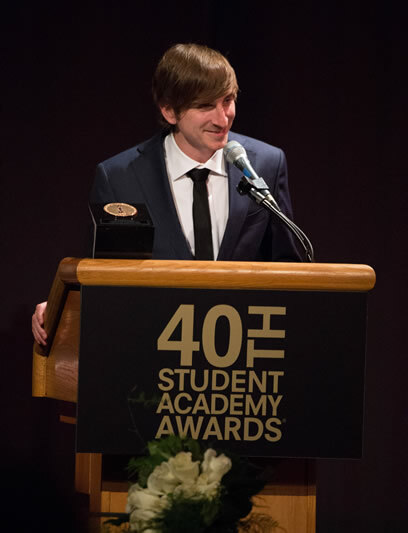 Photo: Wouter Bouvijn from RITS School of Arts, Erasmus College, Brussels, Belgium, winner of the bronze medal in the foreign student film category for “Tweesprong (Crossroads),” during the 40th Annual Student Academy Awards in Beverly Hills. Photo © Richard Harbaugh/Academy of Motion Picture Arts and Sciences. BEVERLY HILLS, CA — Nine films have been shortlisted and have advanced to the next round of voting in the Foreign Language Film category for the 86th Academy Awards. A record 76 countries had submitted films for consideration (see our October 8, 2013 post). • Palestine, “Omar,” Hany Abu-Assad, director. A committee, consisting of several hundred Los Angeles-based Academy members, screened the original 76 submissions in the category. 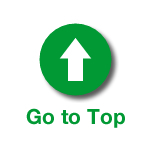 The group’s top six choices, augmented by three additional selections voted by the Academy’s Foreign Language Film Award Executive Committee, constitute this shortlist. 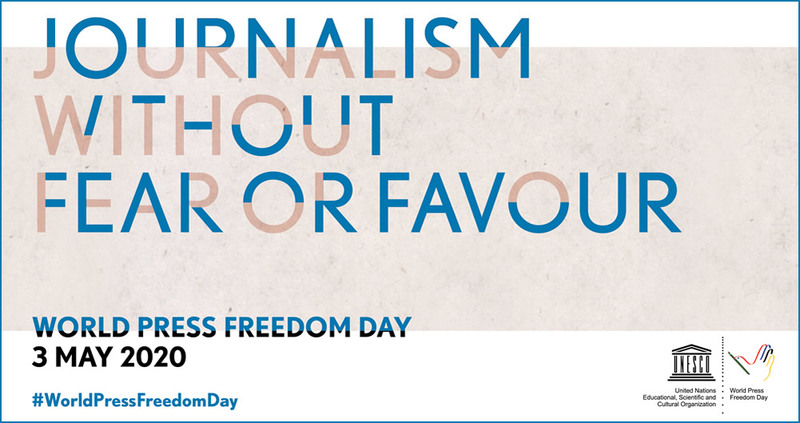 This shortlist will be winnowed down to the five nominees by specially invited committees in New York and Los Angeles. They will spend Friday, January 10, through Sunday, January 12, viewing three films each day and then casting their ballots. The 86th Academy Awards nominations will be announced live on Thursday, January 16, 2014 in the Academy’s Samuel Goldwyn Theater. Academy Awards for outstanding film achievements of 2013 will be presented on Oscar Sunday, March 2, 2014, at the Dolby Theatre at Hollywood & Highland Center and televised live on the ABC Television Network. 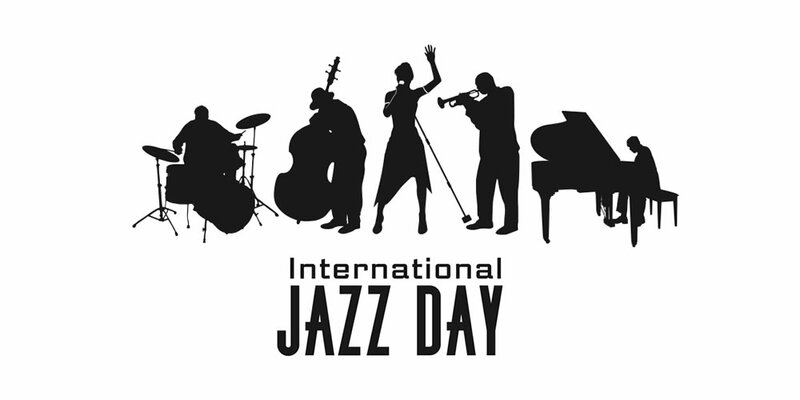 The presentation, produced by Craig Zadan and Neil Meron, will also be televised live in more than 225 countries and territories worldwide. 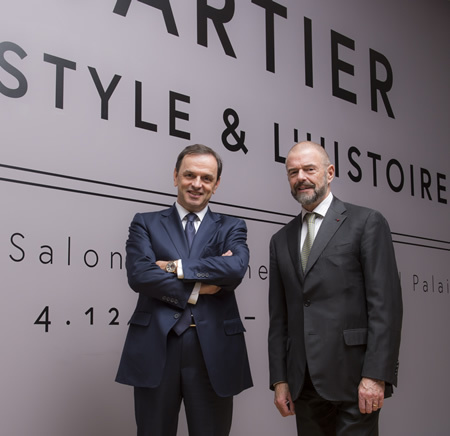 Photo: (L-R) President of Cartier Stanislas de Quercize and President of Reunion des Musees Nationaux (RMN) Jean-Paul Cluzel pose before the ‘Cartier: Le Style et L’Histoire’ Exhibition at Le Grand Palais on December 1, 2013 in Paris, France. Getty Images for Cartier (Photo © 2013 Rindoff Petroff / Castel/French). 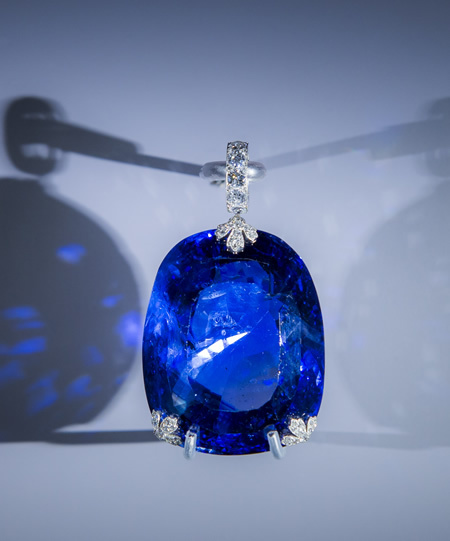 Photo: A sapphire pendant, that belonged to the Queen of Romania, at the Cartier exhibition “Cartier, Le style et l’histoire” at Grand Palais on Sunday, Dec. 1, 2013 in Paris. The pendant now belongs to the Museum of Qatar. Getty Images for Cartier (Photo © 2013 Rindoff Petroff / Castel/French). Photo: Actress Monica Bellucci attends the ‘Cartier: Le Style et L’Histoire’ Exhibition Private Opening at Le Grand Palais on December 2, 2013 in Paris, France. Getty Images for Cartier (Photo © 2013 Rindoff Petroff / Castel/French). 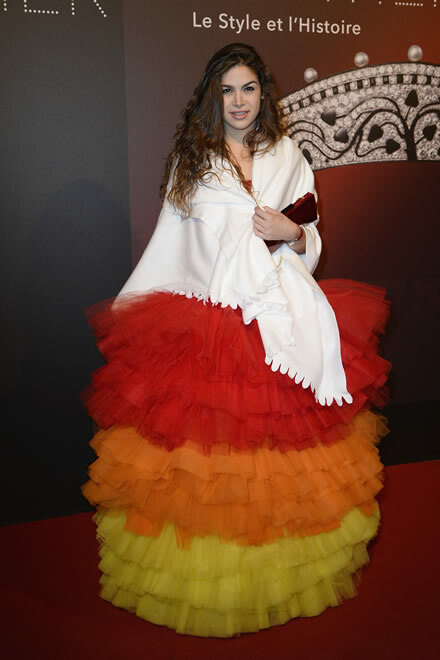 Photo: Cosima Ramirez arrives at the ‘Cartier: Le Style et L’Histoire’ Exhibition Private Opening at Le Grand Palais on December 2, 2013 in Paris, France. Getty Images for Cartier (Photo © 2013 Pascal Le Segretain/French Select). Photo: Prince Charles Philippe d’Oleans and Duchess Diane de Cadaval attend the ‘Cartier: Le Style et L’Histoire’ Exhibition Private Opening at Le Grand Palais on December 2, 2013 in Paris, France. Getty Images for Cartier (Photo © 2013 Rindoff Petroff / Castel/French). Photo: Adelaide de Clermont Tonnerre arrives at the ‘Cartier: Le Style et L’Histoire’ Exhibition Private Opening at Le Grand Palais on December 2, 2013 in Paris, France. Getty Images for Cartier (Photo © 2013 Pascal Le Segretain/French Select). 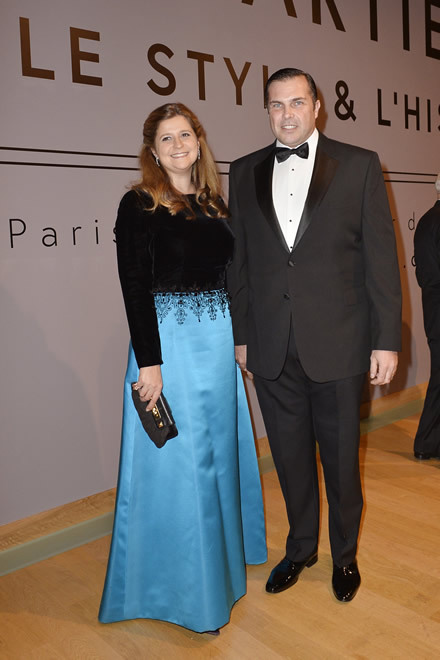 Photo: Maharaja Tikka Shatrujit Singh of Kapurthala and Melonie Hennessy Foster attend the ‘Cartier: Le Style et L’Histoire’ Exhibition Private Opening at Le Grand Palais on December 2, 2013 in Paris, France. Getty Images for Cartier (Photo © 2013 Rindoff Petroff / Castel/French). 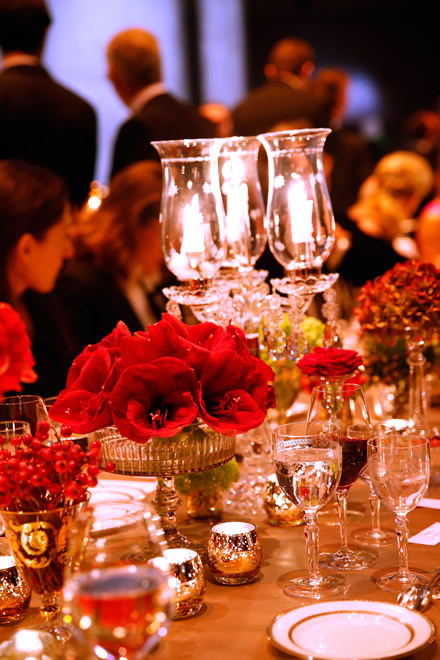 Photo: Dinner place for the ‘Cartier: Le Style et L’Histoire’ Exhibition Private Opening at Le Grand Palais on December 2, 2013 in Paris, France. Getty Images for Cartier (Photo © 2013 Rindoff Petroff / Castel/French). Since 1983, the Cartier has been presenting its collection in exhibitions at various cultural institutions worldwide, including the Metropolitan Museum in New York, the British Museum in London, the Calouste Gulbenkian Foundation in Lisbon and the Palace Museum in Beijing. From 4 December to 16 February 2014, this creative heritage will be on display at the Grand Palais in Paris as “CARTIER. LE STYLE ET L’HISTOIRE” exhibition. More than 600 creations have been selected for display. High jewellery pieces, mystery clocks, watches and precious objects will be exhibited alongside private loans on show for the very first time. On December 2, 2013, Stanislas Chauveau de Quercize, President and CEO of Cartier International and Jean-Paul Cluzel, President des Etablissements at the Reunion des Musees Nationaux-Grand Palais welcomed more than 200 guests from the worlds of business and art. Guests were received in the Salon d’honneur of the Grand Palais, where they were able to enjoy an exclusive preview of the Cartier. Le style et l’histoire exhibition. They then moved on to the Galerie Courbe for a dinner.